Beautiful quad level 4 bed 2 bath home in Murray Hill, a must see! This home features tons of gathering space, with a large formal living room, a family room with fireplace, and a finished walk-out basement with built-in shelving, which leads to the outdoor patio. Sits on a corner lot with plenty of green space between the home and street, a fully fenced rear yard, and an attached two car garage. Directions:Westport Rd to Kennersley to corner, or Goose creek Rd to Murray Hill Pike to Kennersley. SchoolsClick map icons below to view information for schools near 2823 Kennersley Dr Louisville, KY 40242. 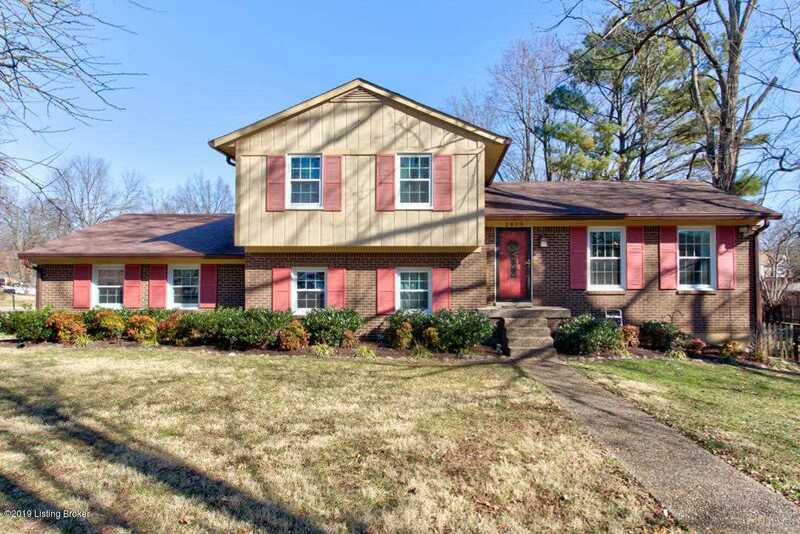 MLS® 1523842: This property at 2823 Kennersley Dr, Louisville, KY 40242 is located in the Murray Hill subdivision and is listed for $254,000. MLS® 1523842 has been on the market for 77 days.